New Delhi : Prime Minister Narendra Modi on Sunday laid foundation stone for the All India Institute of Medical Sciences at Thoppur near Madurai. The cost of the project estimates around Rs 1,264 crore. 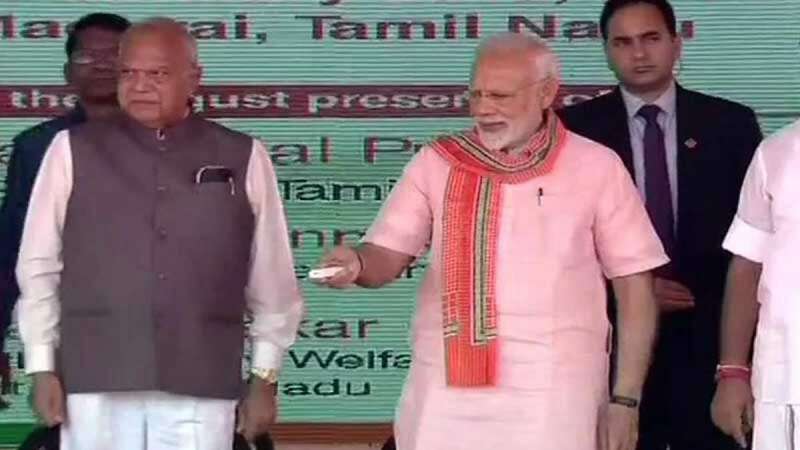 PM Modi also unveiled super blocks in the state-run medical colleges in Madurai; the blocks will be equipped with high-tech diagnostic equipment and facilities including Cath labs. The new AIIMS will be having 750 beds for the admission of the patients and it will put around 100 MBBS seats on offer for the specialist doctors in different fields. During the event, Mr. Prime Minister also announced 12 passport seva kendras. Tamil Nadu Chief Minister Edappadi Palaniswami showed gratitude to Prime Minister Narendra Modi for benefitting his state with AIIMS and other facilities. The Madurai AIIMS was approved by the union cabinet in December 2018.